Somali Al-Shabaab claims responsibility for attack in Nairobi, says attack is retaliation for Kenya’s military intervention in Somalia. The Somali Al-Qaeda-affiliated terrorist group Al-Shabaab claimed responsibility on Saturday night for an attack on a shopping mall in Nairobi that killed 39 people, reported Al Arabiya. 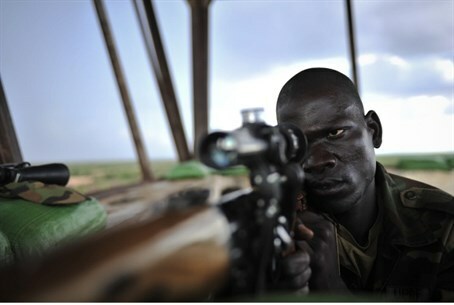 The group said on Twitter that the attack was in retaliation for Kenya’s military intervention in Somalia. “The Mujahideen entered #Westgate Mall today at around noon and are still inside the mall, fighting the #Kenyan Kuffar (infidels) inside their own turf,” al-Shabaab said on Twitter, according to AFP. “What Kenyans are witnessing at #Westgate is retributive justice for crimes committed by their military,” the group said. Kenya's President Uhuru Kenyatta said that 39 people have been killed and 150 wounded in the mall attack, and that he lost family members in the incident, according to the Associated Press. Twelve hours after masked terrorists stormed the shopping center, security forces were still attempting to secure the mall and neutralize the gunmen, according to the president. Two French citizens were killed in Saturday’s terrorist attack on a Nairobi shopping mall, the French presidential palace said in a statement quoted by Al Arabiya. France's president Francois Hollande “condemns the cowardly attack in the strongest terms and shares the pain of the family of our compatriots,” said the statement. One Israeli, who operates a stand selling Dead Sea products in the Westgate mall where the attack took place, was reportedly slightly wounded. Three other Israelis reportedly escaped the mall unharmed.